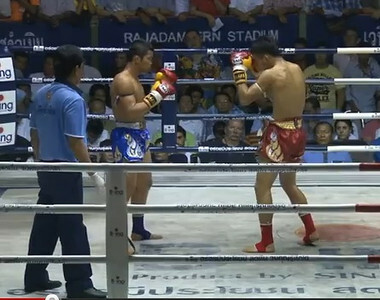 From Rajadamnern Stadium on October 4th, 2012 Petchboonchu and Nong-O face each other at 133lbs. This was on the same night just before Somrak’s come back match on the recording setting sellout of Rajadamnern Stadium. Much thanks to youtube user ChampsBoxing Magazine for sharing the video! ~ by fatsoking on October 26, 2012.